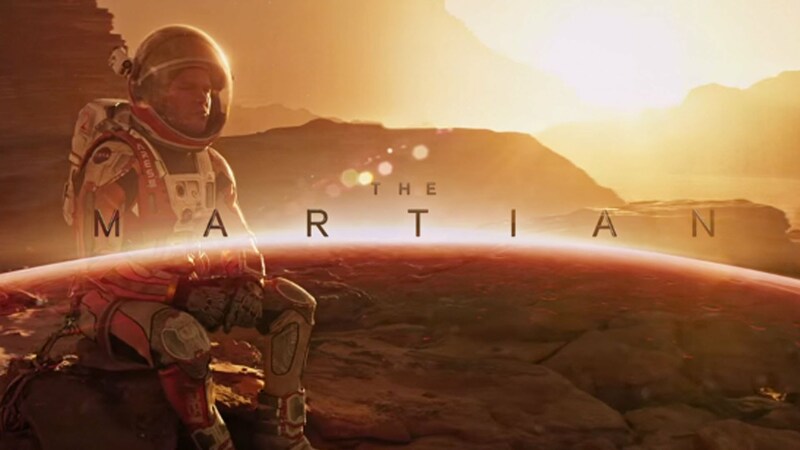 My review of the Martian – Beware of spoilers! Last night, I was invited to an expert panel screening of the Martian, complementary of The Odeon and the British Interplanetary Society. Overall I really liked the movie. It is a feel good movie, with a great soundtrack. It is educational and the CGI of Mars was beautiful (in particular the dust devils!). Most importantly it is inspiring to the current generation of future Marstronauts. Mars is definitely a popular topic right now. 1. Mark Watney at the start of the movie gets bashed around by a horrific sand storm. In part this is true – Mars has global dust storms that engulf the entire planet. However dust storms on Mars are harmless due to its lack of atmosphere. It would feel like a light breeze. 2. In the movie the space transit vehicle Hermes has an awesome centrifuge to mimic gravity – in theory this could create an artificial gravity. In reality, a centrifuge with a small radius would have a diverse effects on the gravitational gradient. In other words, the gravity they feel at their head would be a lot stronger than what they feel at their feet. 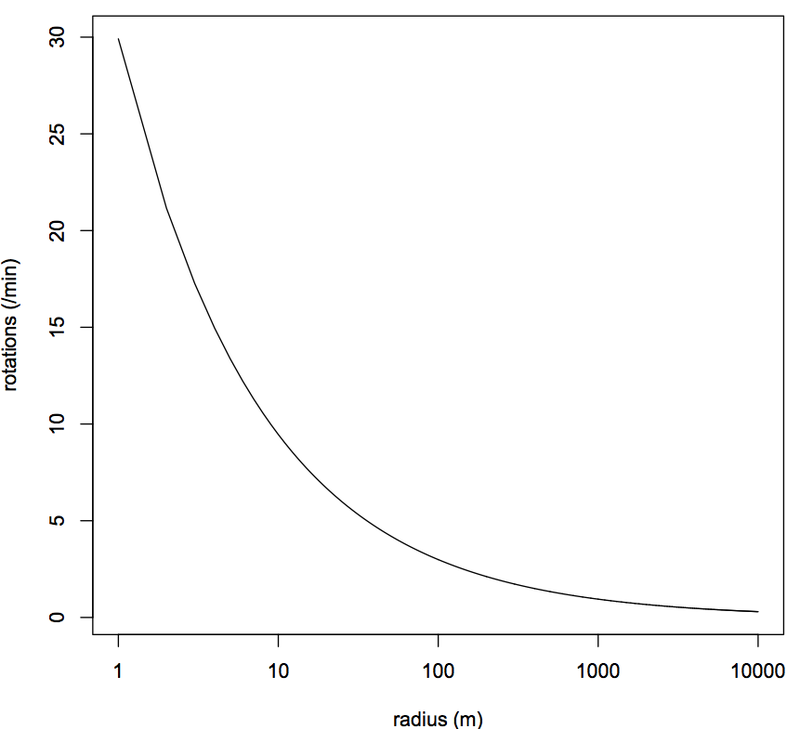 If you look at the graph below, you can see that the radius of the centrifuge would need to be of the order 1000 meters in order for the gravity to be consistent over a distance a few meters. This just isn’t feasible right now because of the cost to launch and the amount of energy required to power such a space craft. 3. When Mark Watney begins his Martian farm, he takes soil from the upper Martian surface. Bad idea! The soil on the surface is completely exposed to radiation and is riddled with perchlorates. Not only would this is would mean that the potatoes he grew are toxic, but even touching the soil wouldn’t be good for you! Watney would need to use soil about 5m below the surface to get similar radiation levels to that we have on Earth. 4. What’s more I doubt the potatoes would survive in such lack of light, Mars is 50% further away from the Sun compared to Earth so efficient LED lighting is crucial. On the topic of sunlight, the lack of solar panels was slightly worrying… if you compare to the ISS, it hosts 2500 sq meters of solar panels! 5. Water. There’s plenty of it on Mars, frozen in the soil. If you were to melt all the ice on Mars, there would be enough water to cover the entire surface. So it seems a bit silly that Watney didn’t just extract water from the soil. Despite this, it’s not a scientific documentary so I don’t expect all the science to true but they do a relatively good job at it. I think the Martian was a great movie and I quite enjoyed it!